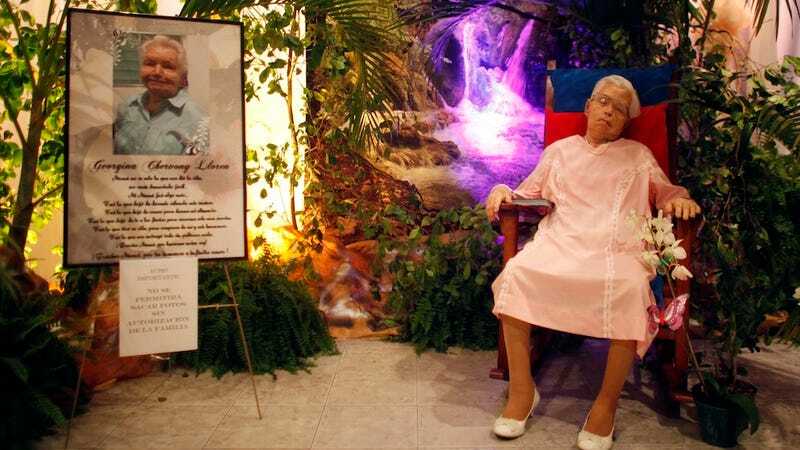 80-year-old Georgina Chervony Lloren hung out at her own wake in San Juan, Puerto Rico this Monday after passing away over the weekend from natural causes. She received mourners not from a casket, but from a rocking chair where she — dressed in her wedding dress — had been propped into a sitting position. The viewing took place at Marin Funeral Home, a mortuary known for creating "dioramas" with the dead. 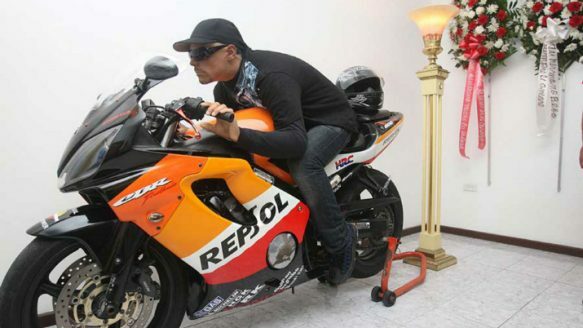 Past funerals have displayed the corpse of a young boxer standing in a boxing ring and a motorcyclist atop his bike. Georgina's arrangements were made with her daughter Miriam Chervony, who says the plans were talked over with her mother in advance.